Satan tries to mock everything God does. Everything in his kingdom is opposite from God's kingdom. He gives fear instead of faith, worry instead of peace, death instead of life, etc. Satan is the "Master of Distraction". He will try to distract us from our purpose. Solomon did build an house for the Lord. But when he was old he also built places of idol worship for each of his strange wives he had married. Satan, through his wives, had distracted him from whole-heartedly serving the Lord God. 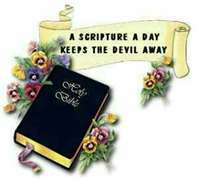 Satan tried to distract Jesus from His purpose in Matthew chapter 4 when He had fasted 40 days and 40 nights. He tried to get Jesus to turn the stones to bread, to throw Himself off the pinnacle of the temple, and to lust for riches and to worship him. But Jesus said, "It is written". Jesus quoted him the Word each time He was tempted. In Matthew 16:21-23 the devil tried to distract Jesus again by using Peter's mouth. But Jesus said, "Get thee behind me, Satan." In 2 Kings chapter 5 Naaman tried to give Elisha a gift for being cleansed of leprosy, but Elisha wouldn't take it. So his servant Gehazi lied and told Naaman that Elisha changed his mind and said that he needed a gift for 2 sons of the prophets that came by. Elisha knew what he had done because the Lord showed him. Gehazi was a leper until his death and it was passed onto his children. Satan distracted him from his purpose, which was to be the servant of the man of God. Have you ever went in to pray or study the Bible and it seemed like everything broke loose: Phone calls, company, problems, etc.? We must be like Daniel. He didn't care what was going on. He prayed 3 times a day: Morning, noon, and night. Even when he knew that the king had signed the petition that said no one was to call on any god for 30 days, he still opened his windows and prayed unto God Almighty. They threw him in a den of lions, but God delivered him out. The men who conspired against him and their families were eaten by those same lions. Daniel was not distracted from his purpose. Because of that a whole nation honored God. 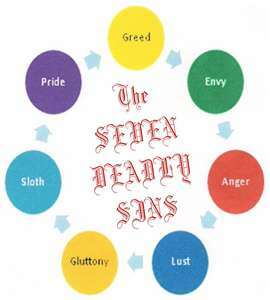 2 Corinthians 2:11 Lest Satan should get an advantage of us: for we are not ignorant of his (Satan's) devices. The Word of God shows us the enemy's tactics and strategies. If we stay in fellowship with God and read His Word every day we will not be deceived or distracted by the things the devil throws at us. 1pe 5:9 Whom resist stedfast in the faith. The devil can't just devour anyone he chooses. We have to open a door for him. This next Scripture tells us how to leave the door shut to the devil. If we first submit ourselves to God and let Him have control of our lives, then we will be able to resist the devil and he will flee. Alot of people try to resist the devil, but they have not submitted their lives to God. So their efforts are in vain. These things will not only distract us but will make us unfruitful and open a door for the enemy to work in our lives. If you have made Jesus Lord of your life then you can overcome these things. For some instructions on living right, read Ephesians chapter 4. Another way the enemy distracts us from our purpose is with unforgiveness. If we hold onto unforgiveness God will not forgive us (Matthew 6:14-16). An older minister told my husband once that if he was going to make it in ministry he would have to have a heart like butter and skin like a rhino. We have come to know that as a fact. Persecution is another distraction Satan uses. Mt 5:12 Rejoice, and be exceeding glad: for great is your reward in heaven: for so persecuted they the prophets which were before you. Here's what the Bible says we should do when persecuted. Mt 5:45 That ye may be the children of your Father which is in heaven. Don't let the devil distract you from walking in love. Your faith won't work without love (Galatians 5:6). Satan will also try to get you into fleshly battles using carnal weapons instead of the spiritual weapons God has given us. 2co 10:5 Casting down imaginations, and every high thing that exalteth itself against the knowledge of God, and bringing into captivity every thought to the obedience of Christ. The devil knows that if we get into the carnal realm we will not be able to pull down his strongholds. We must walk in the Spirit and then we will not fulfill the lusts of the flesh. We must abandon carnal reasoning, common sense, and past experience. We must trust in the Lord and be led by the Holy Spirit.